TRIBUTE: Based loosely on the lives of his parents—to whom the film is dedicated—Oscar®-winning director Pawel Pawlikowski’s Cold War paints a portrait of complicated love during a period of great peril. This bittersweet drama, shot in luminous black and white, traces the courtship of Wiktor (Tomasz Kot), a composer, and Zula (Joanna Kulig), a singer and dancer, over several years, with their tempestuous relationship mirroring the fear and uncertainty of life during Communism. Much like Pawlikowski’s acclaimed Ida, Cold War examines mid-century Poland with somber specificity, but the actors’ performances bring a fire to this deceptively elegant romance. Pawlikowski tells his story in scattered vignettes, like a faded scrapbook with pages missing, resulting in a dreamy, half-remembered reverie. Winner of the Best Director prize at Cannes, Cold War’s message of how love ebbs and flows—and also how it’s shaped by the trauma of its times—will speak to audiences all over the world. Warsaw-born Pawel Pawlikowski studied literature and philosophy in London and Oxford before getting his start making documentaries for the BBC in the late 1980s, his films winning numerous international awards. He moved into fiction with Twockers (1998), which was followed by two BAFTA-winning features, Last Resort (2000) and My Summer of Love (2004). He made The Woman in the Fifth in 2011. He returned to Poland to make Ida (2013), winner of the Foreign Language Academy Award®, five European Film Awards, and many other prizes. 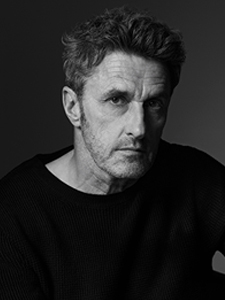 Pawlikowski lives in Warsaw and teaches film direction and writing at the Wajda School.